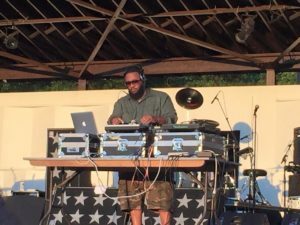 Thanks to organizers at Amachi Pittsburgh, local residents are invited to tune in and groove out for a cause at the bi-annual Amachi Hachi Pachi September 15. 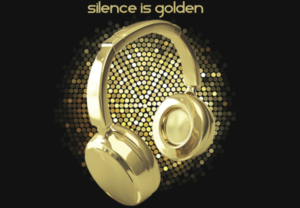 Taking place at the PNC Park Riverwalk and Hall of Fame Club, the special silent disco edition is a Golden celebration in further support of Amachi’s mission–to honor the victims of parental incarceration who overcome the suffering that once held them captive. This year at Hachi Pachi–“Silence is Golden”–come correct and dressed to impress in metallic-chic attire; nothing’s off limits as long as you shine, but don’t forget your dance shoes. Upon entering, attending guests will grab a set of special headphones, with the option to tune into one (or all!) of the night’s DJs on deck for musical support. 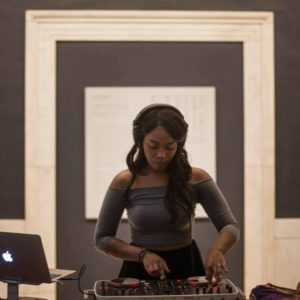 Then dance the night away to a few of Pittsburgh’s staple performers on the decks, including DJ Selecta, DJ Nate Da Barber and EYE JAY. Feel free to take a break from dancing to enjoy light bites, cocktails, a silent auction, life sized games, and more amongst the golden décor at Hachi Pachi. The night also features a selection of honorary special guests, local sponsors and esteemed members of our city, including honorary chair, Secretary John Wetzel of the PA Department of Corrections. To view more details on attending speakers and honorees, you can also check out Hachi Pachi’s event page. Hachi Pachi takes place Thursday, September 15, starting at 7PM; and the VIP pre-party will kick off at 6. Presales ($50-$250) are currently available online with ticket prices to increase at the door. You can also try your luck at our giveaway for two free tickets by sharing and liking this post on our Facebook and Twitter pages. One winner will be chosen the morning of the party… Be sure to keep an eye on your DMs to find out if you got lucky!